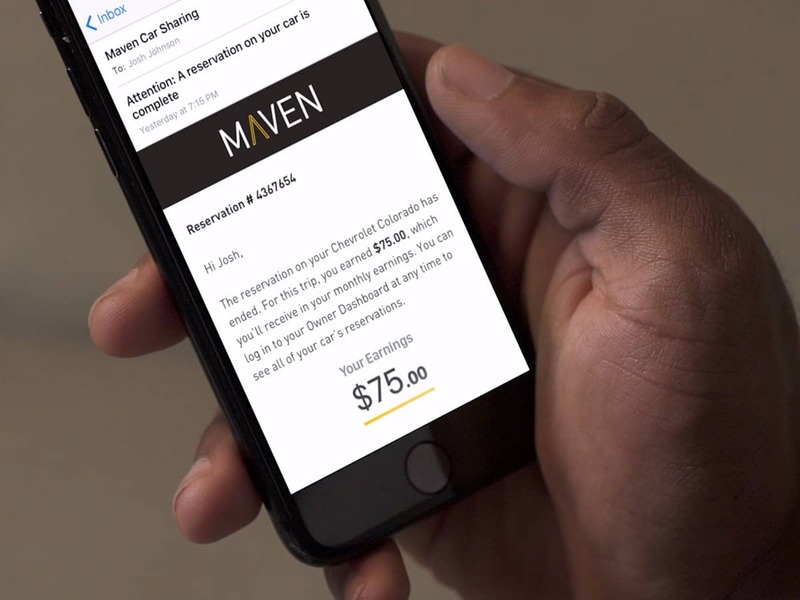 GM is betting on a new car-sharing program called Maven. It's essentially a ride-sharing but would you ever let someone else drive your car? Earlier this year GM mentioned that they had a plan to offer a car rental program called Maven, which would be open to only GM owners to rent out their personal vehicles for as long as 28 days at a time. The idea was that it would be like an AirBNB for cars, but with the power of GM standing behind the program. GM now confirms that the Maven program is available in Chicago, Detroit and Ann Arbor. Looking further into this program I saw that is was available nearby in San Francisco, and that you could potentially rent a newer Chevy Volt for $8-9 an hour. With SUVs and other GM cars available as well. BMW, Toyota, and VW are also looking at launching similar ride sharing/car sharing programs. Potentially, I could see this working for corporate rental fleets who are leasing their cars. That way the new cars are covered under warranty for repair, and covered by GM’s insurance when being driven by others. So potentially their fleet assets could be making money during the day when the car would normally sit idle in the parking lot. The only trick being that their employees who are responsible for the car being in good condition at the end of the lease would would not want strangers driving “their” cars. Plus the maximum mileage limitations of the lease are a potential issue. I am not sure what percentage of that hourly rental fee is passed onto the car’s owner. But it could add up to some real money. I do have a few friends who drive for Uber and Lyft, and their whole car payment, insurance, and other costs are more than covered by them driving others around in their cars. I have rented out one of my cars once for a wedding in San Francisco, but my condition was that I was invited to the wedding and reception. He was a car enthusiast and saw a picture of my car online and emailed me with the request. I enjoyed the experience, but I am not sure if I would do it again. What do you think? Does the extra money sound tempting, or is it too risky?